Your Mac doesn’t need a premium third-party PDF tool like Adobe Acrobat Pro for some of the most basic document functions. Whether you want to convert documents to PDF files, merge or split existing documents, or annotate and sign forms; macOS can do it all. You’ll only need to reach for your wallet if you want more advanced PDF creation and editing tools, and we’ve got a few suggestions for those too. If you’re just looking for the best macOS PDF readers, we have a few alternatives to Preview for that 4 Best Free Mac Preview Alternatives for Reading PDFs 4 Best Free Mac Preview Alternatives for Reading PDFs If you're looking for a free Preview replacement for your PDF reading habit, here are the best free options out there. Read More too. Creating PDF files is possible from just about any app that allows you to print on your Mac. That includes your browser, word processors, spreadsheet applications, even image editors The Best Free & Paid Image Editors for Mac OS X The Best Free & Paid Image Editors for Mac OS X We thought it was about time we compiled a list of our favourite raster image editors for Mac OS X. Read More . One of the best uses for this is to save webpages as PDFs, directly within your browser. To save as a PDF, head to the File > Print dialogue. In the bottom left corner should be a dropdown box that reads PDF. Click on it and choose Save PDF or one of the other options (like Open PDF in Preview) to create a PDF document. Some applications may not display the PDF drop-down menu, but you can usually find it under the Print Settings or similar menu. You can even use some apps to “convert” supported filetypes to PDF. As an example, Preview can open .DOCX Microsoft Word files, just head to File > Print > PDF to convert. Preview can also open the following filetypes: AI, BMP, DNG, DAE, EPS, FAX, FPX, GIF, HDR, ICNS, ICO, JPEG/2000, OpenEXR, OBJ, CR2, PS, PSD, PICT, PDF, PNG, PNTG, QTIF, RAD, RAW, SGI, TGA, TIFF, XBM, PPT, and STL. You can use Preview to merge PDF files, and re-order pages. To merge, simply open two or more PDF files with Preview by selecting them (using command+click) then double clicking to launch Preview. Next enable thumbnail view under View > Thumbnails, then click and drag to reorder the pages as you see fit. To merge two files, simply drag the pages of one document into another and hit save or command+s. You can undo any of your changes using the Undo tool by hitting command+z. Any files you want to merge must first be in .PDF format — you can’t open a .DOCX file and a .PDF file and merge the two. You’ll need to convert the .DOCX file to .PDF first, then open it and merge as explained above. There’s also the inelegant option of splitting PDFs, but it’s a bit of a hack. To isolate specific pages simply open your document, enable thumbnail view using View > Thumbnails, then select which pages you want to split into a new document using command+click. Note: If you want to isolate single pages into new documents, you’ll need to do this page-by-page. When you’re ready, head to File > Print and check Selected Pages in Sidebar. Click the PDF drop-down menu and save as a PDF document, send PDF to iCloud, or one of the other options there. You can then open the document and drag the pages to re-arrange them if you want. Apple’s Preview app also has a handy toolbox for marking up documents, or even signing your name. Not all of these tools are ideal for use with PDF documents, not all of them work quite as expected. To access the tools click on the toolbox icon in Preview’s main toolbar, or use the shift+command+a keyboard shortcut. The sketch tool is ideal for outlining documents, drawing arrows, underlining and so on. Preview will smooth out the lines, so your circles and squiggles don’t look like a hand-drawn mess. Shapes also work great, including the arrows and zoom feature for highlighting small text or details. The text tool can be handy for adding notes, and works a treat. You can also sign a document using the signature tool, which allows you to scrawl your personal mark using a trackpad (provided you have one) then place and scale it on the document. Unfortunately the notes tool doesn’t seem to work outside of Preview, which isn’t much use to people browsing your document using their browser or another PDF reader. So your Mac is a bit of a superstar when it comes to editing PDF documents, but this functionality is still pretty basic. If you’re going to spend a lot of time editing PDF files or creating your own from scratch, you should consider a more capable third-party tool. Adobe’s Acrobat Pro might seem like the obvious choice, considering Adobe pioneered the format and Acrobat remains the single most powerful PDF editor on the planet. Unfortunately it’s not the most user-friendly software package, and it’s expensive too. You can “rent” Acrobat Pro from $13/month, or get it as part of the Creative Cloud suite for $50/month. For that reason you might want to go for something a little less costly and complex, like PDFpen ($75, above). 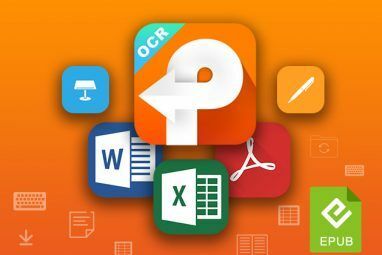 It’s a powerful tool and includes sought-after features like optical character recognition How to Extract Text From Images (OCR) How to Extract Text From Images (OCR) The best way to extract text from an image is to use optical character recognition (OCR). We show you seven free OCR tools for the job. Read More (OCR), while remaining easy to learn and straight-forward to use. If you’re really on a budget and can live without OCR, then PDF Expert ($59, below) is another solid option. It comes with the basic text and image editing tools you’d expect to see, with solid annotation and page management features that put it just ahead of Preview. There are many other PDF tools on the market, but these three are probably the best tools for the job depending on your budget. While Acrobat Pro might sound like the best option, for most users PDFpen provides the right balance of features for a fair price. Did you know that some of the best Mac software comes pre-installed The Best Default Mac Apps That You Shouldn't Need to Replace The Best Default Mac Apps That You Shouldn't Need to Replace Here are some of the best default, pre-installed, native Mac apps worth using. Don't ditch them before you try them! Read More ? 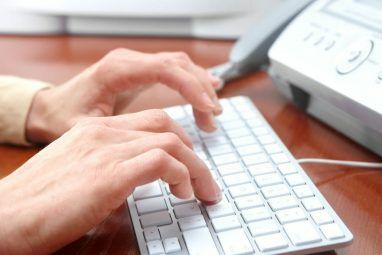 Your Mac comes with a bounty of useful tools for common everyday tasks Your Mac Has Built In Tools For These 10 Everyday Tasks Your Mac Has Built In Tools For These 10 Everyday Tasks Want to dictate notes, look up words, and merge PDFs? Your Mac has in-built tools for these tasks and more! Read More . That includes basic screenshot features How to Take Screenshots on Mac: Tips, Tools, and Tricks to Know How to Take Screenshots on Mac: Tips, Tools, and Tricks to Know Need to take a screenshot on your mac? Here are the best shortcuts, tips, and apps for macOS screenshots. Read More and the ability to create screencasts using QuickTime Player 7 Handy Tasks QuickTime Player Performs for Free 7 Handy Tasks QuickTime Player Performs for Free You've probably changed the file association so QuickTime never gets used, so you've probably overlooked its bounty of useful features. Read More , as well as using Spotlight search to convert currency or check on the weather Search More Efficiently In Mac OS X With Our Top Spotlight Tips Search More Efficiently In Mac OS X With Our Top Spotlight Tips Spotlight has been a killer Mac feature for years, with Cupertino regularly schooling Redmond in the art of desktop search. Here are a few tips to help you find more on your Mac. Read More . Safari even comes with a secure built-in password manager Should You Use iCloud Keychain to Sync Passwords on Mac & iOS? Should You Use iCloud Keychain to Sync Passwords on Mac & iOS? If you primarily use Apple products, why not use the company's own password manager completely free of charge? Read More and offline read it later service that syncs with your iOS devices Use Safari’s Reading List for Offline Reading on Your Mac & iPhone Use Safari’s Reading List for Offline Reading on Your Mac & iPhone Want to share articles between your iPhone and Mac? Use Safari's Reading List. Read More . Compared to Windows, Mac users get a lot of useful extra software bundled with the OS for free. Do you use Preview, or have you shelled out for a fancy PDF editor? What else would you like to see Apple include with macOS? Explore more about: Digital Document, macOS Sierra, PDF, PDF Editor, Preview App. So I struggle to read text on line at the best of times but because your text is all broken up with adverts I simply cannot follow it. I don't know if those adverts for, for example, PDF King means I should download it or not. I have an MacBook air. Sorry but the website is just too busy and bitty for me to read. Do you have a version of it that is more accessible please. Thank you so much, this has been driving me nuts and I had all but given up on getting this sorted. you're a STAR! Hi, could you give specific steps to splitting and SAVING a document. I have 32 pages in original and only want to save 27 in a new file. I am having one heck of a time. I would love it if you could provide step by step instructions. if you go to http://www.smallpdf.com , they have easy options of doing different things to PDFs (split pdf, merge pdf, reduce size pdf, etc...). PDF Merger (http://pdf-to-epub.xstudio.biz... - can merge PDF files. PDF Merger (http://pdf-to-epub.xstudio.biz/pdf-merger.html) - can merge PDF files. Wow, you doing it much more complicated than needed. Next you can merge and split pdf document very easy without printing (if you have leopard or snow leopard). How to merge: In leopard you just open one pdf, draw the other pdf on to the sidebar, now save (cmd+s). If you have snow leopard, you have to draw the other pdf on top of the page thumbnail in the sidebar. (Or else it will just be to separated documents open at the same time). Awesome! Thanks for your post, much faster way.